Though brain and spinal cord injuries might produce similar symptoms, the actions that cause these injuries vary greatly. It's important to understand the types of personal injury claims and find a lawyer who specializes in the specifics of your case. Personal injury law covers a broad array of claims, and hiring a personal injury lawyer might not be all you need to do to get adequate representation. 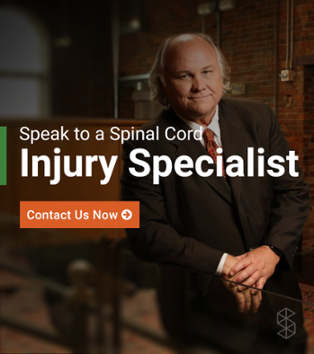 There are medical malpractice lawyers, personal injury attorneys, car accident attorneys, and a range of other personal injury lawyers, each of whom specializes in a specific domain of the law. Though brain and spinal cord injuries might produce similar symptoms, the actions that cause these injuries vary greatly. If you have suffered a serious injury, you need a lawyer who specializes in the area of law that directly pertains to your injury. Here or some of the most common types of personal injury claims for brain and spinal cord injuries. Automobile motorcycle, and truck accidents are the leading cause of brain and spinal cord injuries. These accidents often produce additional injuries, such as broken bones, damaged organs, and bleeding. If you have suffered an auto accident, the good news is that insurance laws require the other driver to carry insurance to cover at least a portion of your injuries. The bad news is that litigating these claims can prove challenging. Not only do you have to prove that the other side is liable for your injuries; you may also face barriers to getting paid if your claim exceeds the limits of the policy. If this occurs, your lawyer may work with you to find an additional party to sue. For example, if the local government failed to properly maintain the road, you might be able to sue them. Boating and other recreational activities, such as water skiing and jet skiing, can produce life-threatening injuries. Not only are you in danger of a traumatic blow to your brain or spinal cord; water can cause you to drown, depriving your brain of oxygen and further compounding the damage of an accident. These claims can be tough to litigate, particularly when ti's unclear who is at fault. Defective equipment is sometimes to blame, but reckless or impaired boating, negligence by a recreational facility operator, and other factors can come into play as well. We live in an increasingly violent society. Gun-related injuries in particularly are particularly common. Gunshot wounds lead to 15,000 fatalities each year, and an additional 115,000 people sustain non-fatal injuries, including serious brain and spinal cord injuries. If you have been assaulted, the other party may be prosecuted. You also have a right to sue. The problem is that most individual assailants don't have money to cover the massive expenses associated with a catastrophic injury. A skilled personal injury lawyer can help you explore your options. You might be able to sue a gun manufacturer, for instance, or pursue a premises liability claim against a store or apartment complex that did not provide adequate security. Failing to treat a condition. Failing to properly diagnose a condition. Recommending treatment that goes against the standard of care. Recommending a treatment that is likely to harm a patient. Exposing a patient to something harmful, such as an allergen. Performing the wrong treatment, such as amputating the wrong leg. Giving the wrong dose of a potentially dangerous drug. 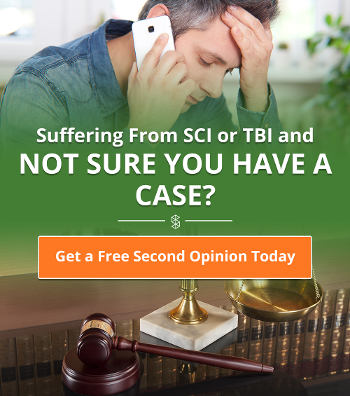 To win a brain or spinal cord injury medical malpractice claim, it's not enough to show that you were injured, or that a better treatment option was available. You must show that your doctor deviated from the standard of care. Failure to try an experimental treatment, then, will not be medical malpractice. A medical malpractice attorney can advise you as to whether you have a viable claim. Defective pharmaceutical products, such as when a drug poisons you. Defective medical products, such as when a medical product injures instead of helps you. Dangerous products that don't work as promised, such as a jet ski that flips over no matter how carefully you drive it. Products that don't work as promised, thereby endangering you. For example, a helmet that does not withstand the usual force of a bicycle crash might be considered a defective product. It's possible to be injured by a defective product without even realizing it. Indeed, many personal injury claims turn into defective product claims, so ask your lawyer if a product defect might have played a role in your injuries.